Smuckers Goober. Peanut butter and jelly in one jar! OK, I need you to think back to spy movies you’ve seen. At some point there’s a good chance that two people will meet in Washington. They’ll stand in overcoats by the water and stare out at the Washington Monument while talking out of the side of their mouths. There’s an above average chance that one of them will be hit by a sniper bullet. Our aim was not spies but monuments. in quick succession we saw the Titanic monument and then memorials for Jefferson, FDR and Martin Luther King Jr. They were interesting as a demonstration of a variety of monumental styles as much as anything else. They also gave rise to an inconclusive discussion about what the similar four Australian monuments would be – always assuming you can find four suitable candidates. Yesterday the boys had done some roadschooling research on George Washington and found that he and Jefferson did not get on. So it was interesting to see today that if you stand across the water from the Jefferson memorial the only way you can see Jefferson’s statue is if you stand with your back precisely to the Washington Monument. The flip side of this is that Jefferson’s statue stands gazing eternally at the Washington Monument. Research has failed to discover if this was deliberate. Declan’s response, one in a series of now daily Haikus can be found here. 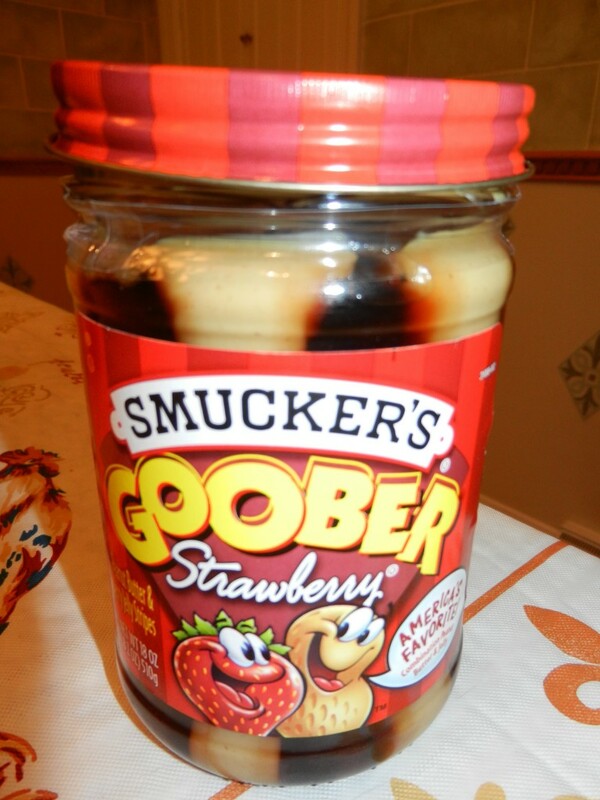 However Declan’s real highlight for the day was finding Smuckers Goober Jelly in the supermarket – peanut butter and jam in one jar! Herron by the Tidal Pool.